Karen Bantuveris is CEO of SignUp.com. As a working-mom, Girl Scout leader, and active PTA member, Karen enjoyed contributing where she could, but the ‘little things’ that made volunteering a hassle and distracted her from the rest of life—clipboards, multiple websites, reply-all emails, late night reminder messages—seemed endless. Karen recognized that for her efforts to make a meaningful difference, she needed to simplify how community activities were organized. In 2009, she founded VolunteerSpot, a solution for anyone and everyone who wanted to quickly mobilize and coordinate volunteers. VolunteerSpot’s simple, intuitive signup software made it easy for people to join together and say YES to volunteering. No waiting for approvals and passwords, no software to install—just free, easy scheduling and signup tools for everyday heroes. Mike: Although SignUp.com seems pretty straight forward based on the name, can you explain the service and what it does? Karen: At SignUp.com, we believe that when people come together, great things happen. Parents and teachers, business and community leaders, and friends and coworkers trust our coordination resources and applications to save time and achieve remarkable outcomes. We’re the easiest way to coordinate people and things for events, activities and gatherings of all kinds. This time of year, parents and teachers are coordinating helpers and refreshments for holiday parties and performances, faith groups are organizing community meals and Giving Tree wish lists to bring holiday cheer to families in need, professors are coordinating office hours and exam proctor schedules, sports parents are collecting money for coaches gifts, small businesses from photographers to doggie day care are hosting SignUps so their customers can schedule their services, and nonprofits are planning races, galas and other fundraisers. As you can see, people use us for everything under the sun! Mike: You recently changed your name from VolunteerSpot to SignUp.com. What prompted the change? Karen: Our customers were using us in a myriad of scenarios beyond volunteering and we wanted current and potential users to know that we can help them plan and coordinate just about anything seamlessly — from events, to parent teacher conferences, meetings, and parties. We still have a focus on volunteer scheduling, but when the response from users who used VolunteerSpot to coordinate other activities became undeniable, we decided to make the change. Mike: How important has a great domain name proved to be for your business? Karen: We’re just getting started with our new domain and the feedback from our customers has been amazing – it was a strong and successful move. We’re also excited to see people use SignUp.com in ways we didn’t fully anticipate such as event ticket sales, race registration and class registration. It seems the possibilities are endless. Mike: What types of businesses or organizations do you find using your service? What sort of unique ways are they leveraging the service? What can people use it for to accomplish? Karen: Our core audience has traditionally been parents (mostly moms) and teachers who use SignUp.com to organize class/school activities and parties, but we’re quickly branching into districts, universities, faith groups and small businesses as their go-to coordination and planning resource. We’re starting to see people create all kinds of SignUps beyond volunteer rostering such as interview schedules for hiring events, city-wide prayer circles, workplace picnics and potlucks, class registration– the list goes on! They love to useSignUp.com because of the ease-of-use of the platform, the automatic reminders sent out to participants and because overall – it makes their lives easier so they can focus on the more important aspects of their lives. Mike: Can you share the traffic numbers the site receives? Karen: With an ever-growing user base, we are seeing site traffic increase month-to-month. This past October we hit 11 million users! We’re excited to see that number continue to grow as the year progresses. Mike: In searching for a premium domain name for a business, what advice do you have to others considering the same? Karen: We had been looking for a new domain to better meet the needs of our expanding VolunteerSpot audience for a long time. 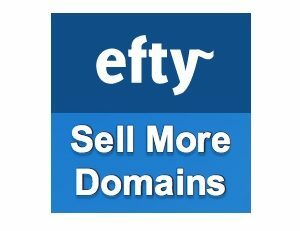 We purchased and launched several other domains prior to committing to SignUp.com. Many of them had the same drawback as VolunteerSpot of having to explain our services, or having a narrow use case. SignUp.com is as generic and broadly applicable as it comes. Personally, I was resistant at first, preferring a more exciting brand – but I’ve come to love the brand because the domain is so powerful in it’s simplicity – our platform makes sense to our customers, instantly and immediately. The generic nature of the name also lets us custom brand subdomains for our clients and partners. It was an overall win! Mike: I noticed your free tier is supported by advertisers. How well does that model work? Karen: Since our core user base has traditionally been influential, active moms with school-aged kids, we offer unique sponsorship opportunities for brands that want to market to moms in a contextually relevant way in an uncluttered environment. Brand’s like Land’s End, Uncle Ben’s, Penguin Random House and AXA Financial Services look to us for unparalleled engagement to hyper-target this difficult-to-reach audience. Because of our credibility and reach within involved parent communities, we’ve recently been invited by The White House to join President Obama’s Computer Science for All initiative (#CSforAll). We’re encouraging elementary schools and youth groups across the country to host a FUN and FREE Family Code Night event that introduces families to Computer Science. The majority of our advertisers share our mission of doing ‘GOOD” – maybe it’s to keep kids reading, to save for college, or encouraging the family the cook together – it all aligns. Yes, it was conducted in December. There are a couple of references that show it’s a couple of months past, but the overall interview is still relevant. Agree, was just a bit confusing. Thanks Jamie. Glad you stopped by.